Faced with an uncertain future, an expat shares a decade of living in the hinterland between being British and Italian. Paper Smokers, an international collective of storytellers based in London, bring their comedy Diary Of An Expat to Alphabetti Theatre from Tuesday 2nd Friday 5th of April at 7.30pm (pay what you feel) along with an exhibition sharing objects and memories of expats’ milestones in their lives abroad. The show is a semi-autobiographic comedy about an immigrant’s journey towards full Britishness while a funny little thing called Brexit threatens the European dream of life abroad. It’s based on personal experiences as well as testimonies collected over the past years. It is a love letter to the UK as well as an attempt to create a more honest portrait of European immigrants. But mainly it is the story of Cecilia’s inexplicable love for sausage rolls, the only true reason why she tried her best to stay in the UK after Brexit. The show is a cheaper and funnier lawyer consultation for the Europeans struggling with what to do with their future here, an eye opener for the Brits who will be surprised to find out what people are required to do and learn to become British. 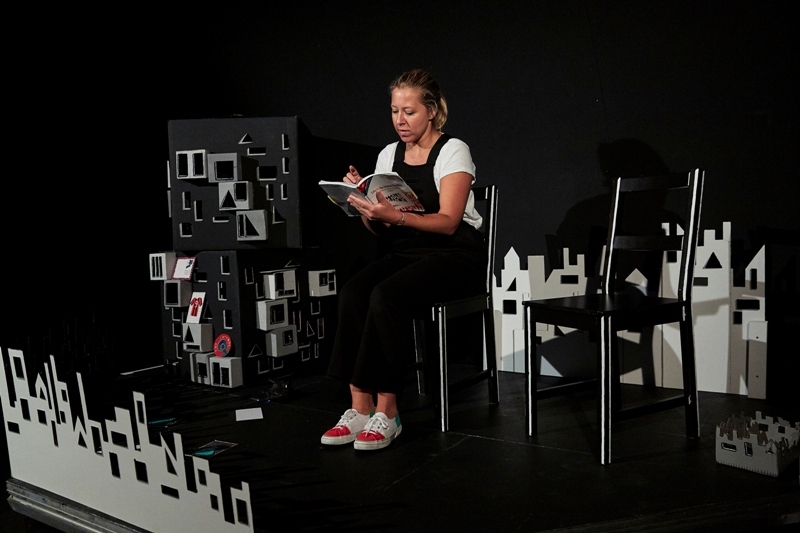 Cecilia (Italian), who wrote, produced and performs the show, and Katharina (Austrian) the director and dramaturg, were inspired by the “Life in the UK” book that future citizen have to study to pass the exam and access the citizenship. It was full of comedy gold that couldn’t be ignored, that had to be shared with as many people as possible. The show arrives in Newcastle after a successful Edinburgh Fringe run with praise from both critics and audiences and is going on a UK and European tour. Diary Of An Expat is at Alphabetti Theatre, Newcastle from Tuesday 2nd to Friday 5th April.